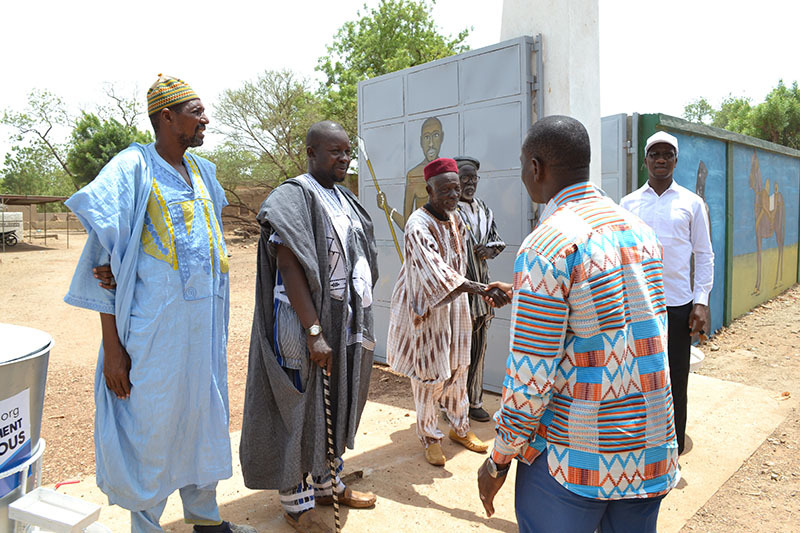 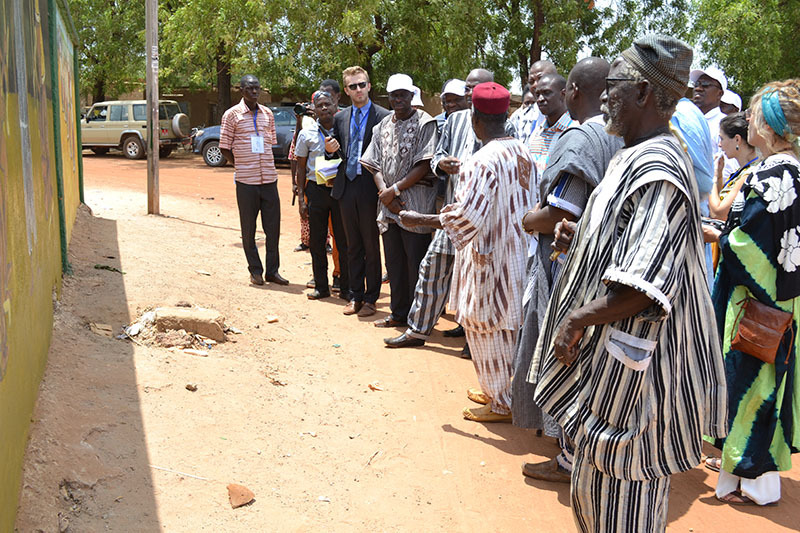 In 2016, Burkina Faso’s Minister of Culture visited the palace of Fada Naba, the Emperor of the Gourmache Kingdom. 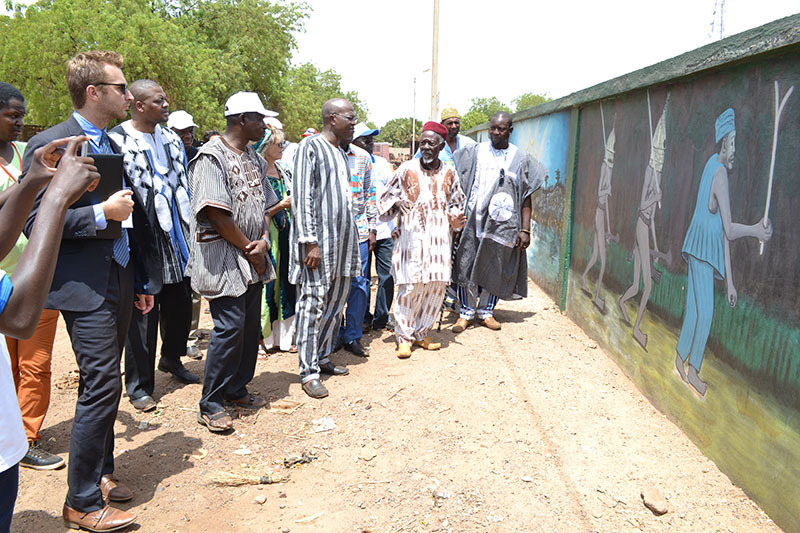 The Palace walls were in a state of disrepair. 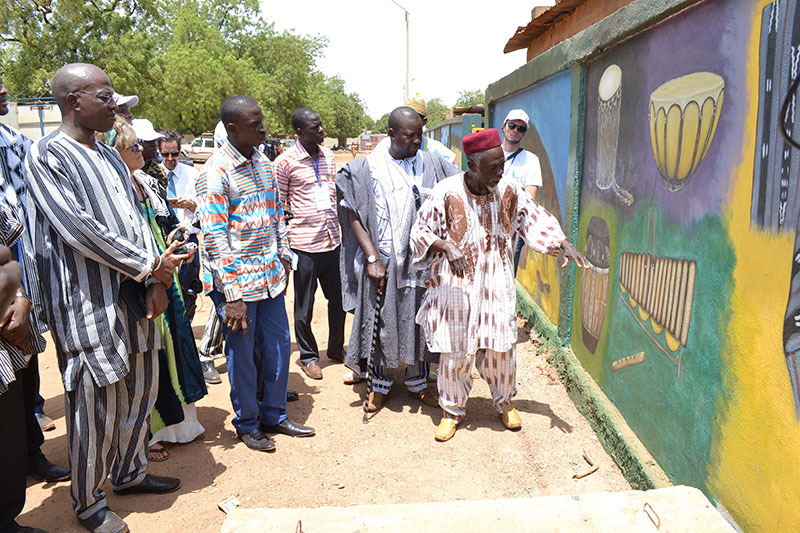 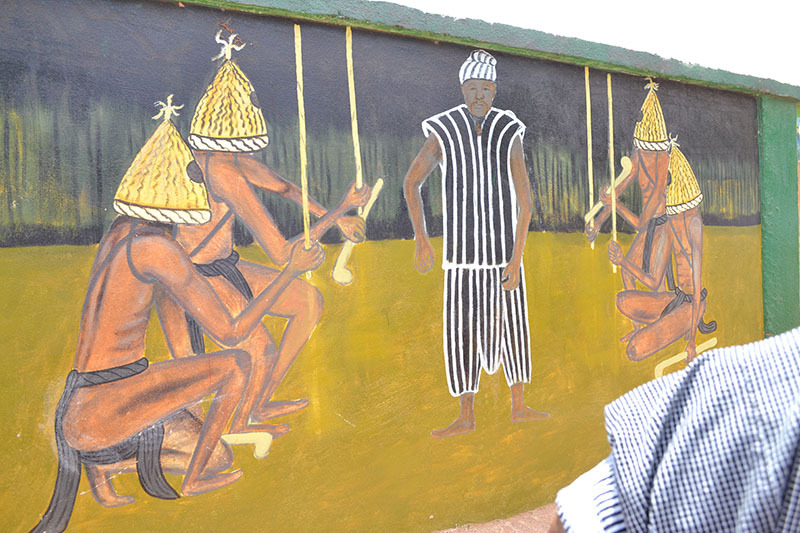 The Minister immediately procured funds to rebuild the walls and for Lamoussa Naba, a renowned local artist (the same one who designed BARKA’s corporate logo back in 2009), to paint a series of murals that transmit much of the oral history of the Gour’mache culture. 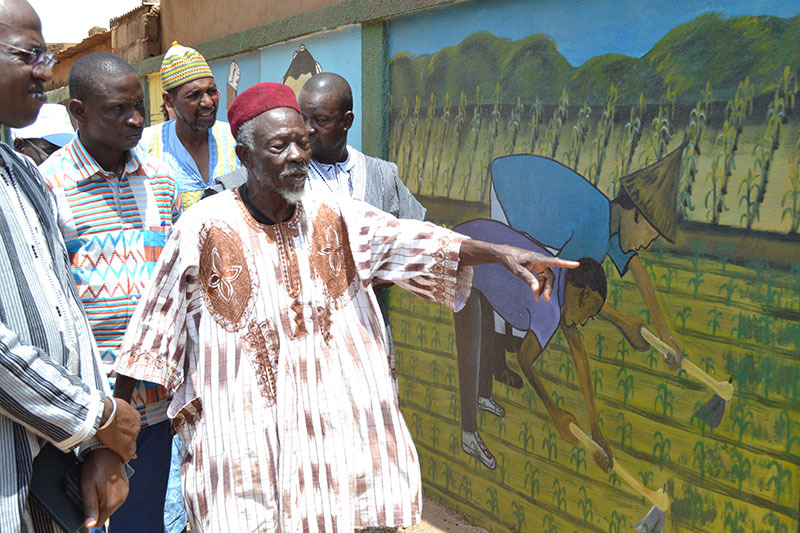 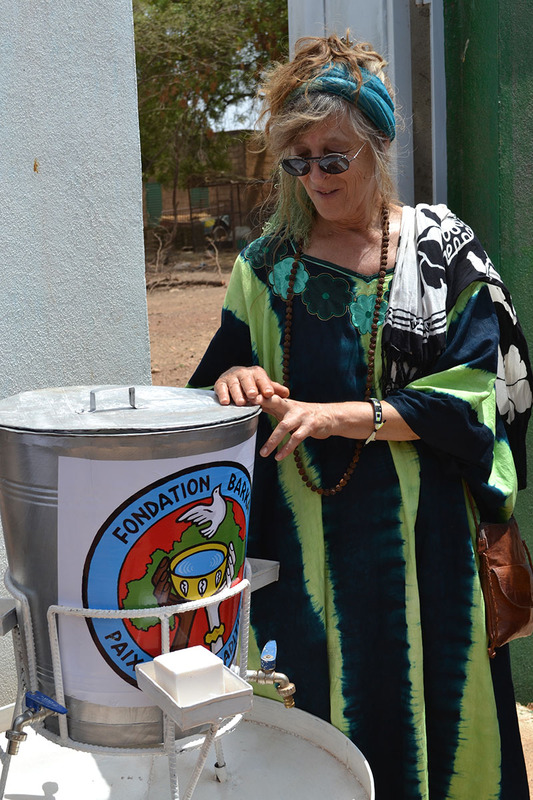 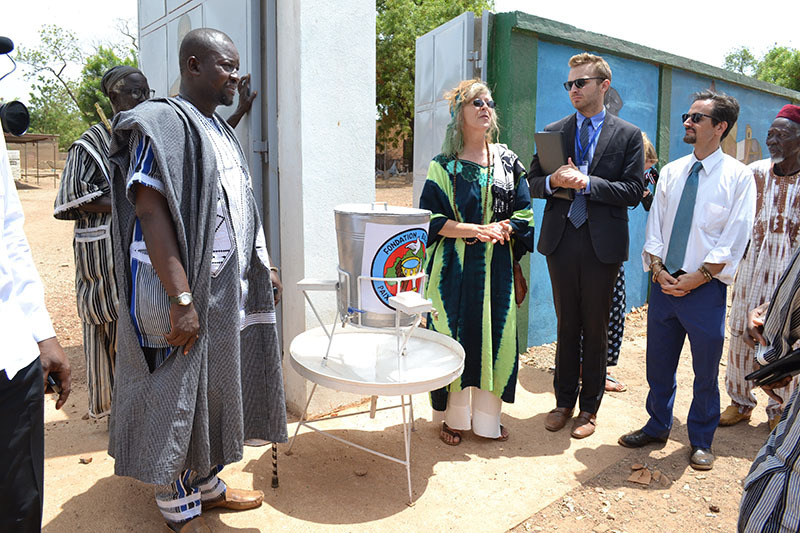 As part of the Water Fair’s Opening Ceremony activities on World Water Day, a scholar of the Gourmache tradition led special guests in a guided tour of the murals, honoring Fada Naba and the local indigenous cultural heritage.